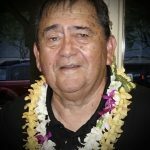 Patrick LeRoy Coito Sr., 72, of Honoka‘a, died on Tuesday, Dec. 25, 2018, at home. He was born on May 22, 1946, in Kohala, Hawai‘i. 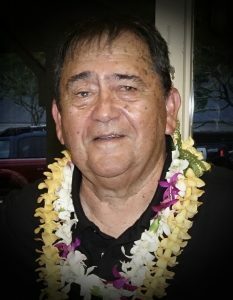 He was the owner of Ohana Woods, a retired café and nutritional aide at North Hawaii Community Hospital and a veteran of the U.S. Army. 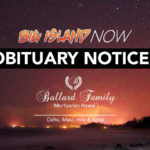 Visitation will be held from 8 to 9:30 a.m. on Saturday, Jan. 19, 2019, at Our Lady of Lourdes Catholic Church, Honoka‘a; Memorial Mass at 10 a.m. Casual attire. Survived by spouse, Barbara Coito of Honoka‘a; daughters, Dardenella “Darde” (Darren) Gamayo of Waipio Valley and Anna (James) Anderson of Raymond, Washington; son, Patrick Coito, Jr. of Pa‘auilo. Survived by brothers, Moses (Mona) Coito of San Diego, California; Alan (Frances) Coito Sr. of Elk Grove, California; Frank Coito III of Kohala; Steve (Joelyn) Coito of Kohala; Timothy (Ann) Coito of Kohala; and William (Terry) McNulty, Jr. of Beaverton, Oregon. Survived by sister, Cindy (Wayne) Tobin of Navato, California; 11 grandchildren; 11 great-grandchildren; numerous aunt, uncles, nieces, nephews and cousins.